For a new Pokemon TCG player, transitioning from purely casual play to competitive play can be difficult. In my own experience, it was strange to look at decklists from large tournaments such as the World Championships and see just how different they were from the starter decks I had been accustomed to playing. How could a deck hope to function with so few energy? For example, let's take a look at one of the recent starter decks from the Celestial Storm expansion, Leaf Charge. 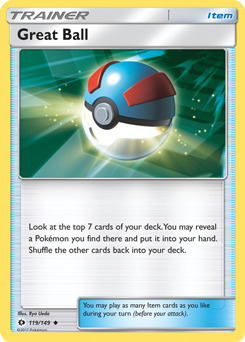 In looking at the deck, you can see that it has 20 Energy cards, 17 Trainer cards, and 23 Pokemon cards. 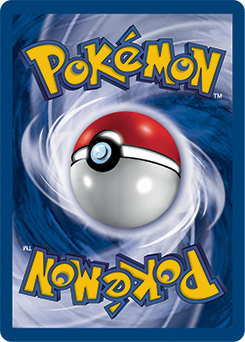 The Pokemon cards can be further broken down into 13 Basic Pokemon, 8 Stage 1 Pokemon, and 2 Stage 2 Pokemon. Let's compare this starter deck to the 1st Place Deck from the Special Event held in Chile on October 21 that was piloted by Bastian Silva. The breakdown of this deck is 14 Energy cards, 30 Trainer cards, and 16 Pokemon cards (further broken down into 13 Basic Pokemon and 3 Stage 2 Pokemon). As you can expect, to a newer player or a player more focused on casual play, these numbers can be very confusing. Here's another example from the same tournament in Chile. This example is even more extreme than the last one. How can a deck reasonably be expected to win with only 4 Energy cards? The answer, of course, is through the use of Trainer cards. 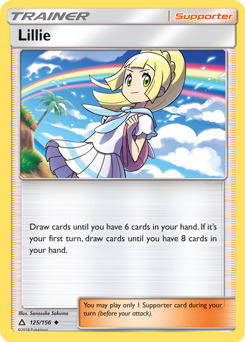 Trainer cards have become the engine of most tournament decks that keep them performing at their optimal levels. Once a casual player realizes how Trainers can be used for card advantage and deck filtering, it's tough to play a deck that's not optimized with the proper Trainer support. Let's take a look at some of the Trainer cards from these two tournament decks and classify their use. 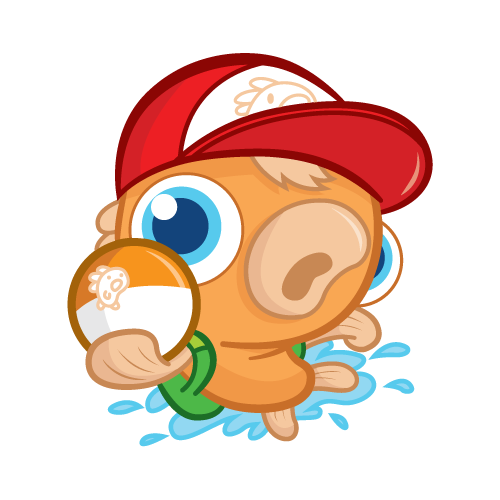 Ultra Ball, Nest Ball, Great Ball, and even Mysterious Treasure all help you find additional Pokemon to play. 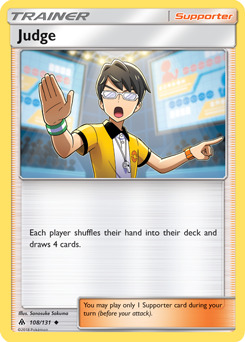 That can be pretty important since both tournament decks play far fewer Pokemon cards than the starter decks do. And since each of the Pokemon in the tournament decks is included because it has a powerful attack or a useful Ability, searching for the Pokemon that you need at the time is important. 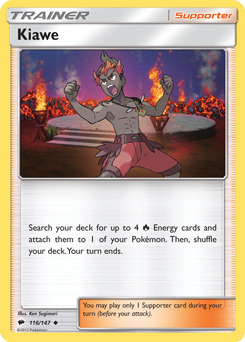 Cards such as Fiery Flint, Lady, and Kiawe allow you to search your deck for specific Energy cards. These help you get the necessary Energy into your hand that your Pokemon in play need as well as having the added effect of thinning your deck a little and making it less likely that your future draws will be an Energy card. 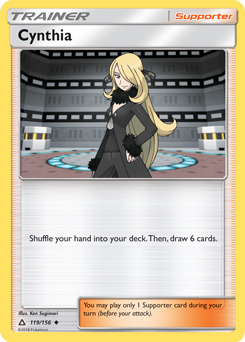 Lillie, Cynthia, and Judge are all good ways to draw additional cards. As with most card games, whoever draws the most cards during a game usually gains an advantage and wins more often. Since these are all Supporter cards, you'll need to plan out your turn carefully and make sure there's no other Supporter card you might want to play instead. 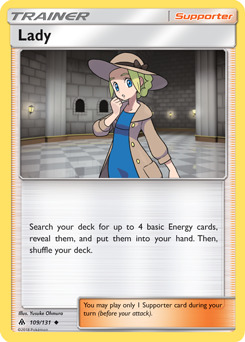 If you're not playing any of the Trainer cards that search out Energy from your deck, you can play these cards instead which not only get you Energy, but Pokemon and other trainer cards as well. 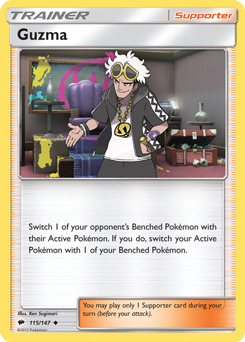 Guzma and Escape Rope allow you to attack a Pokemon that already has damage counters on it or is weak to your Pokemon's attack. Switch allows you to be able to attack with an unexpected Pokemon. 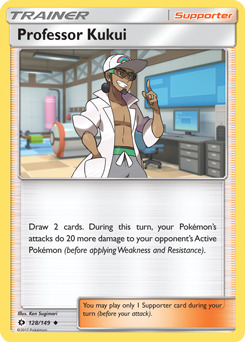 Professor Kukui and Choice Band are both examples of Trainer cards that can give you a damage boost when your Pokemon attacks. These are the kind of cards that allow you to close out a game more quickly than normal. 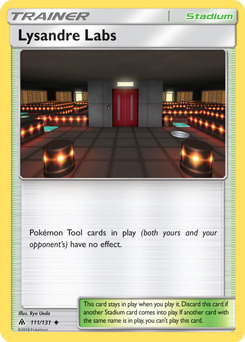 The final type of Trainer card I want to point out are Stadium cards. Shrine of Punishment has become a popular Stadium card to play in many tournament decks. If you're playing a deck with few (or no) Pokemon-GX's, it's worth considering. 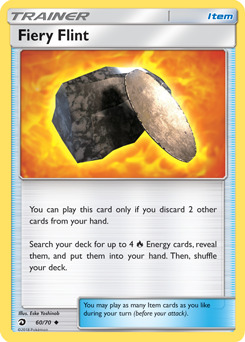 If your deck doesn't play many Pokemon Tool cards, you might consider running a copy of Lysandre Labs. Having a Stadium card in your deck allows you to discard an opponent's stadium that is either giving them an advantage or hindering your deck. 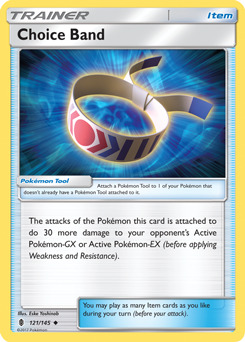 One thing to realize is that the Pokemon you include in your deck could be there to be simply support other Pokemon. They might have an Ability that is useful for your deck. They might simply have a high number of HP that can allow you to build up your Benched Pokemon for a couple of turns while the Pokemon with high HP is being attacked. It's important that you don't have a large number of Pokemon in your deck that have no chance of attacking, but a few is okay. Thanks to the power of Trainer cards, tournament decks look a lot different than casual decks. 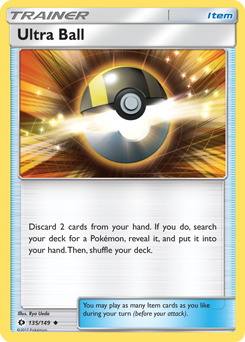 They allow you the capability to run fewer Pokemon and Energy cards simply because they offer easy ways to get these cards from your deck and into your hand (or onto your Bench). 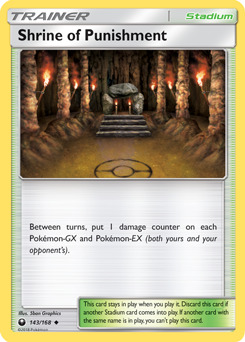 Without the versatility Trainer cards offer, tournament decks would be a lot less consistent and winning games would require even more luck than they do now. Thanks to Trainer cards, you can remain in contention to win a game even if your opening hand is a bit lacking. 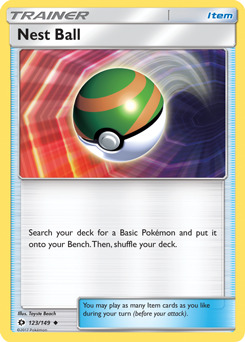 What are your favorite Trainer cards that you have to play in every deck you create? Let me know by leaving a comment below or you can reply to me directly on Twitter (@mikelikesmtg), or email me directly at mikelikesmtg@gmail.com. And be sure to join me here again next week as I continue my search for innovative decks in Standard (and possibly in Expanded). I'll see you then!